Can't find a job? 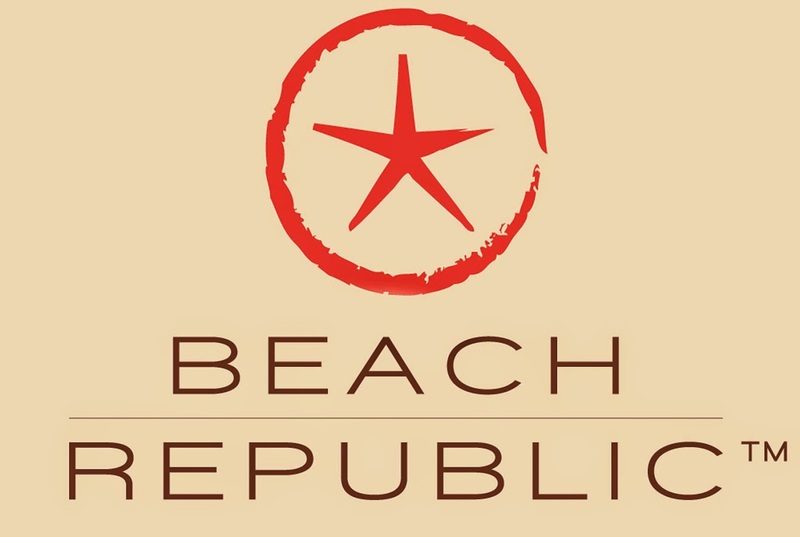 Who wants to work for a beach resort and get paid to work 3 hours a day. 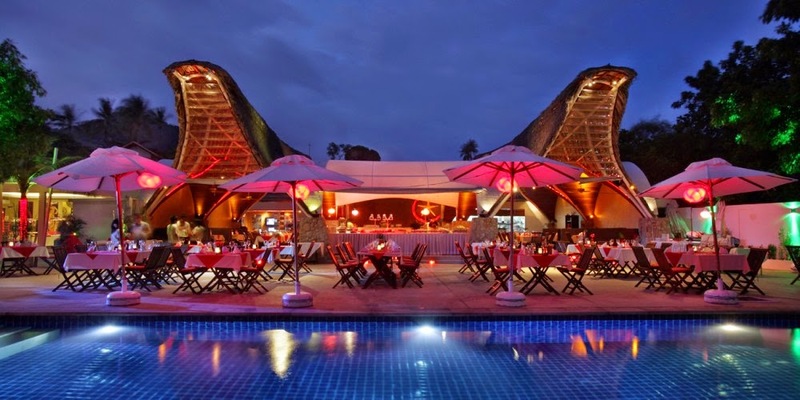 "Our Beach Club and Residences on Koh Samui is looking for a part time photographer and Social Media Manager. You must be passionate about both and be able to devise a creative plan to connect and interact with our current followers in addition to building the relevant social media bases. Requires about 18 hours a week (3 hours per day, 6 days a week) and you must be flexible. Sometimes the action will be happening in the evening, sometimes at noon, and other times late at night. 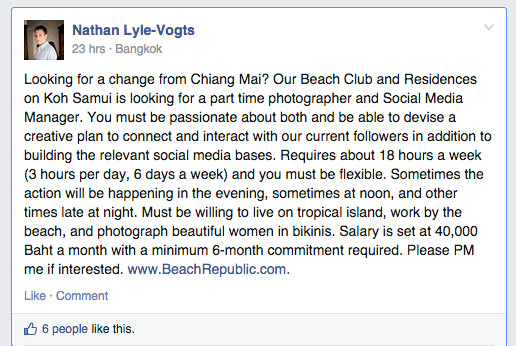 Must be willing to live on tropical island, work by the beach, and photograph beautiful women in bikinis. Salary is set at 40,000 Baht a month with a minimum 6-month commitment required. " It's crazy how people back home complain about there not being jobs, hating their jobs, or otherwise being unhappy with their situations when dream jobs like this pop up all of the time. 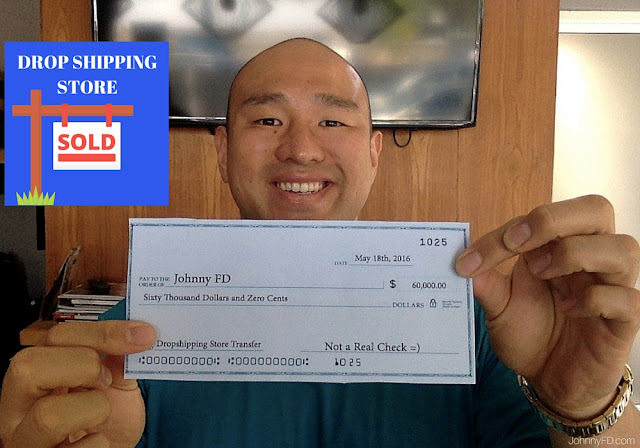 The job requires 18 hours a week of work, which means you can easily work a normal 40 hour week and have 22 hours to work on your dropshipping store or other online business. This job will go quickly and are looking for someone already in Thailand now or plan on coming within a week or two. Honestly if I was just starting out with my business, or was living back in the US still and was single, I would drop everything, and move there in a heart beat. 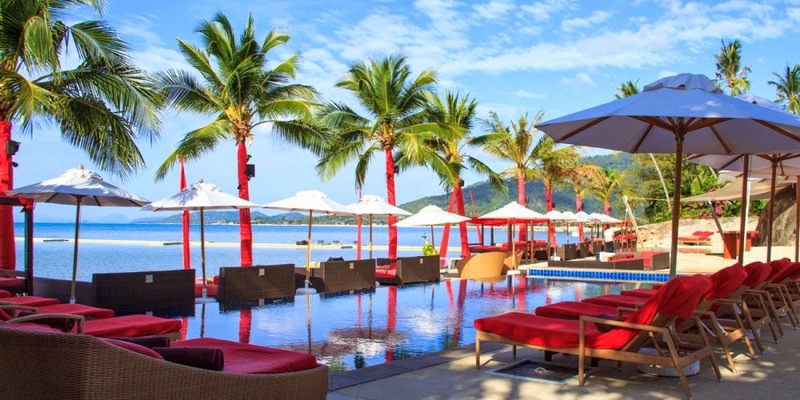 The job pays 40,000 baht a month which is more than enough to live, even in Koh Samui which is more expensive than Chiang Mai, and you'll have free time to work on your online business. To apply for this job PM Nathan on facebook here. 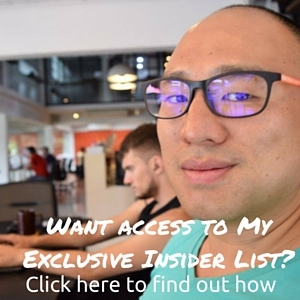 Looking to start your own online business? Read my book Life Changes Quick to get the entire backstory on how I did it and how you can follow the same 7 steps and do it yourself. 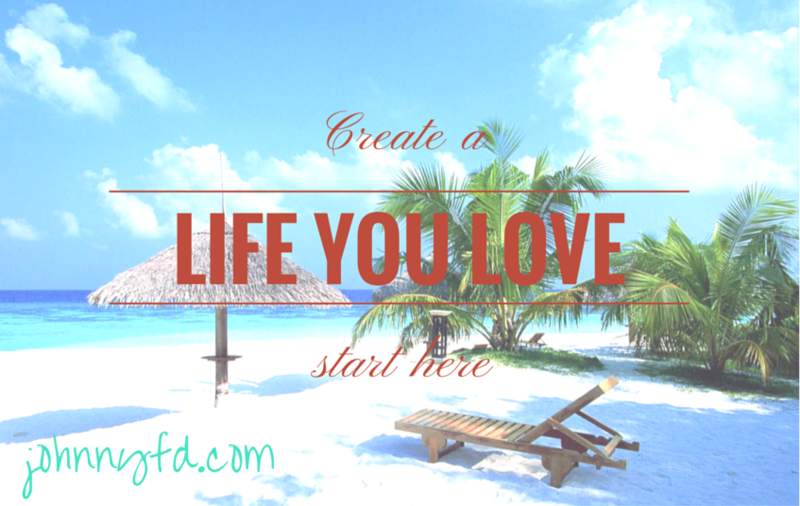 Or check out my blog post, start here and see you out in Thailand and on the beach! Best of luck and seize the day, there are opportunities everywhere. Keep in touch to get informed of these job openings as soon as I hear about them. 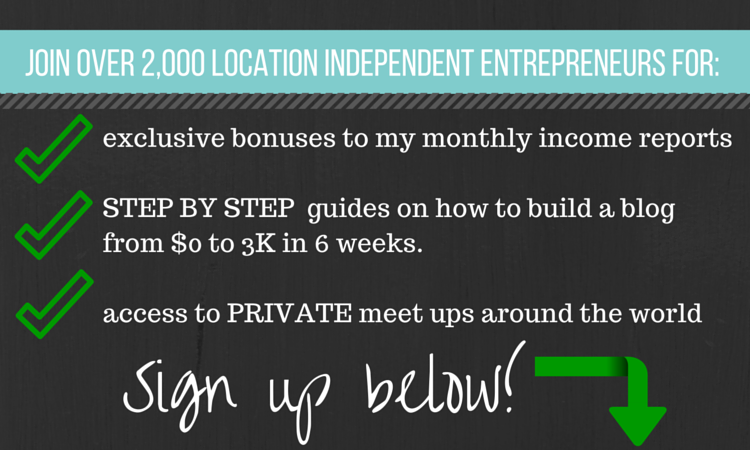 I usually get notified of at least one opening per month and post them here, on my facebook and twitter pages. Hi Johnny thanks for the share, great posts here.. This was absolutely what I was looking for when i was looking for it. But unfortunately I'm off fb for a while and is there a mail ID I can reach Nathan on? Tried a couple I found online but no response from them. Much thanks. Hey glad you're enjoying the blog. The position was filled a long time ago, but keep an eye out on the blog as I post opening whenever I hear about them.